3,950 experience to go until the next level! I was looking for a way to transform input data before it hits the database and came up with the solution below. I wanted a central place to do it instead of repeating the same transformations on a bunch of controller methods. How does it work? First you have to use the TransformsRequestTrait __(see below)__. Then define transformations on the $transformations property and create methods to handle them. A date transformation, for example, will be handle by the transformDate method. Instead of returning validation rules on the rule method, define them on the $rules property. I'm looking for feedback on this solution. That's it. Thank you @SaeedPrez. I have two similar views and yesterday one of them began throwing the Trying to get property of non-object error. It is being caused by $person->born_at->age. The same line on another view worked fine. I couldn't find the cause, so I removed that line and moved on. Today, the other view that was worked fine began throwing the same error out of nowhere. I'd appreciate any help! I gave up trying to find a solution for this. I'm testing Laravel 5.2 now, I'll let you know if it works. pedroborges left a reply on Eager Loading? The with should be used when querying a model, like so: User::with('team')->get(). I can't get the $this->assertSessionHasErrors(); assertion to work. I'm using 5.1 fresh installed yesterday. pedroborges left a reply on Testing My App "in The Future"
I haven't used it but it seems to do what you want. @willvincent They used Typeform for that questionnaire. It was weird to me too, but the keyboard did the trick. Last year Laravel was chosen the best PHP framework on a survey led by SitePoint. It's time to choose this year's winner. Go Laravel! Checkout Sylius features as an example. Lot's to learn from there. When you use $foo = Bar::find(1) it returns an Eloquent model object, you can make it an array: $foo->toArray(). $foo = Bar::all() on the other hand returns a Collection of models, which provides some nice methods to work with multiple itens. You can also make a simple array out of it: $foo->toArray(). pedroborges left a reply on Where Is SSH Configuration Located At? It will soon be maintained by Laravel Collective. If it was hard to convince people to use it, not that much. I saw a tweet about Laravel on it's first week and loved it after reading through the docs. After a little while Taylor started announcing new features and gathering feedback on Forrst, see his posts: http://zurb.com/forrst/people/taylorotwell. There you can see people first reactions. Thanks for the reply @fideloper. Yeah, I learned a lot digging in the Laravel's DB classes today before posting here. A few of your posts helped a lot! I'll post here if I find an answer. So I've trying to get the most out of Postgresql new features using Laravel, but given the lack of information out there about Laravel with Postgresql, it hasn't been an easy task. I have migrated my DB successfully, including one table which has a profile field, of JSONB data-type. Eloquent inserts new records perfectly, but I can't run the following query: App\Person::whereRaw('profile ? \'email\'')->get();. It seems like tries to bind a param to the query. Illuminate\Database\QueryException with message 'SQLSTATE: Syntax error: 7 ERROR:  syntax error at or near "$1"
You could add the line above to your Gulpfile and to the check yourself. I haven't tested this, so please let me know if that works. @JeffreyWay Cool! What about sorting by experience and also show people already in the conversation first? phpdotenv is made for development environments, and generally should not be used in production. In production, the actual environment variables should be set so that there is no overhead of loading the .env file on each request. This can be achieved via an automated deployment process with tools like Vagrant, chef, or Puppet, or can be set manually with cloud hosts like Pagodabox and Heroku. You don't need that file in production because all PHPdotenv does is merge the file's variables with server's variables to be used like getenv('S3_BUCKET'); or $_ENV['S3_BUCKET'];. On production, set the variables on the server. If you are combining scripts, just remove the scripts task and add your file to the version task. Just like the less task, Elixir provides a scripts task, but you have to specify the file path and source directory. If you don't want to concatenate all scripts, just pass the file name instead of the wildcard. Elixir also offers a coffee task, if you prefer Coffee-Script. pedroborges left a reply on How To Exit The Tinker Console? exit(); (with semicolon) also did it for me. 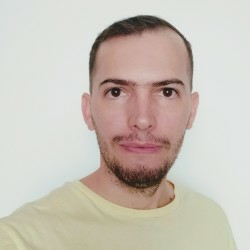 pedroborges left a reply on How To Use Middleware As Filters? @maxccarvalho Have you tried @Middleware("auth", except="getLogout")? But be aware changes are still being made and stuff can break. If you adopt L5 now, keep an eye on the Github repo. @anzze You are right! Routes as we know it aren't going anywhere. Taylor suggested to use a watcher to rescan routes when any file inside app/HTTP/Controllers changes. I would also suggest to recreate a routes file with that watcher for better reference, like: php artisan route:list > app/HTTP/routes.txt. Is it easy to run a command like that with Gulp? @jacob It's indeed a cool feature. Taylor also made very flexible so people can use it along with the routes file. Routes defined in annotation are also listed when you run the route:scan command. What do you guys think of this feature?